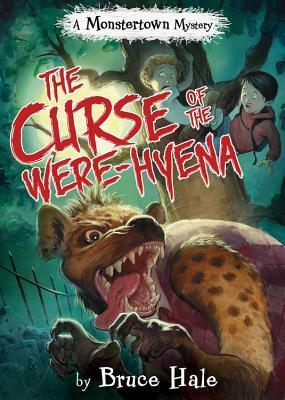 What do you do when your favorite teacher starts turning into a were-hyena? b) Try to cure him? c) Bring him carrion snacks? Mr. Chu, the coolest teacher ever, has developed some very unusual habits, like laughing hysterically for no reason, sniffing people's homework, and chasing chickens. When best friends Carlos and Benny decide to find out what's happening to him, they get caught up in some moonlight madness. And it looks like just the beginning of the weirdness that has arrived in the town of Monterrosa. . . . This first entry in a silly, sassy, and suspenseful new series will leave readers howling with laughter. Bruce Hale can always be trusted to come up with a story that's both compelling and completely out there at the same time. Carlos and his best friend, Benny are shocked when their favorite teacher, Mr. Chu starts behaving very strangely, giggling one moment only to turn around and growl or say nasty things the next. He also seems to have developed super speed, a sensitivity to dogs, and a strong desire to eat raw chicken. Naturally, the boys go to the local comics store for answers and thanks to the help of Mrs. Tameses, they figure out that Mr. Chu is turning into a were-hyena. With additional help from Karate Girl (Tina) and the local museum, the boys set out to stop their teacher from transforming completely. As long as the reader is willing to suspend disbelief about some of the wacky happenings, the reader is bound to have an exciting and amusing ride through Hale's new series. Carlos and Benny are likeable but flawed (Benny tends to be a bit bossy and impulsive while Carlos is more cautious). The cover is fun, on the hard cover, the picture of Mr. Chu and the boys changes as Mr. Chu turns into a were-Hyena and back. Hand this one to children who want something a bit scary and adventurous but with a good dose of humor and wackiness. Free discussion guide and activities! Deckawoo Drive’s intrepid Animal Control Officer meets her match—or does she? 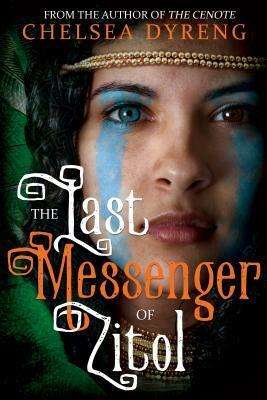 A funny, heartfelt, and fast-paced romp from the National Ambassador for Young People’s Literature. Francine Poulet is the greatest Animal Control Officer in Gizzford County. She hails from a long line of Animal Control Officers. 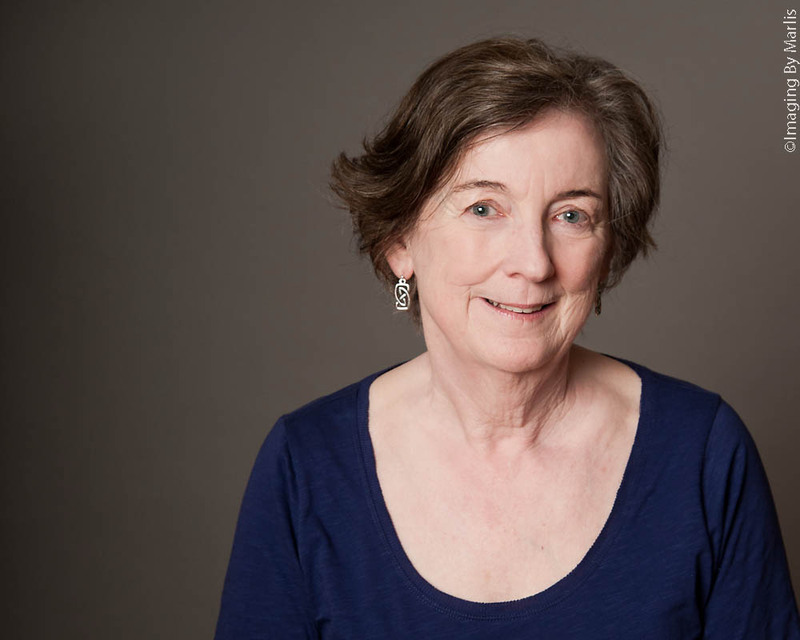 She’s battled snakes, outwitted squirrels, and stared down a bear. "The genuine article," Francine’s dad always called her. She is never scared—until, that is, she’s faced with a screaming raccoon that may or may not be a ghost. Maybe Francine isn’t cut out to be an Animal Control Officer after all! But the raccoon is still on the loose, and the folks on Deckawoo Drive need Francine back. 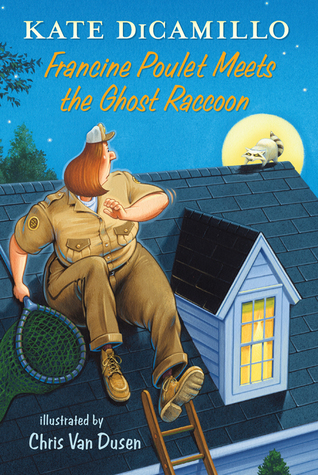 Can she face her fears, round up the raccoon, and return to the ranks of Animal Control? 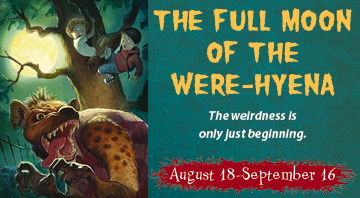 Join a cast of familiar characters—Frank, Stella, Mrs. Watson, and Mercy the porcine wonder—for some riotous raccoon wrangling on Deckawoo Drive. When I first heard about this series I wasn't sure it was going to work. After all, each of the main characters in this new series are adults. Don't kids prefer to read about kids? But having read this one, I think children will like it for three reasons. First, the ghost racoon is rather an intriguing idea and it's an animal. Second, Francine Poulet is a sympathetic character who has to face her fears and injuries, who in real life doesn't have to do that? And third, there are important child characters in the story. Frank and Stella play an important part in helping Francine face her fears. And of course, Van Dusen's illustrations are always appealing and fun. What we end up with here is a fun, quick read about facing one's fears. Baby Lincoln’s older sister, Eugenia, is very fond of telling Baby what to do, and Baby usually responds by saying "Yes, Sister." But one day Baby has had enough. 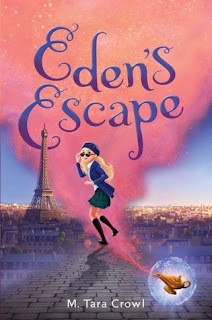 She decides to depart on a Necessary Journey, even though she has never gone anywhere without Eugenia telling her what to take and where to go. And in fact Baby doesn’t know where she is headed — only that she was entirely happy in the previous night’s dream, sitting aboard a train with a view of shooting stars. Who might Baby meet as she strikes out on her own, and what could she discover about herself? Will her impulsive adventure take her away from Eugenia for good? 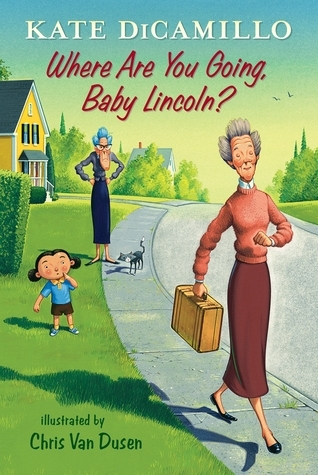 I was thrilled to see Baby Lincoln showing some gumption and setting off on a trip. The trip doesn't turn out to be anything too great, but it has a big impact on Baby as she meets people and learns about enjoying life and telling stories. I enjoyed getting to know Baby more as she takes her 'necessary journey' and discovers that her grumpy sister, Eugenia, does in fact love and appreciate her. 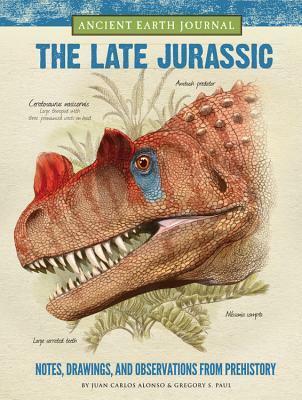 Van Dusen's illustrations once again nicely highlight the characters and their experiences. From the crown jewels such as Yellowstone, Sequoia, and the Grand Canyon, to the many lesser-known but still stunning areas dotting the country, the National Parks have provided generations with enjoyment and wonder. 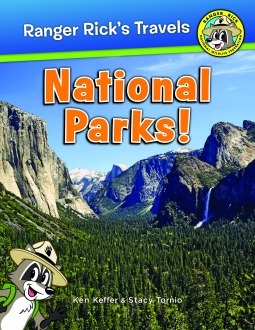 Now, Ranger Rick: National Parks! takes readers on a tour of America s most beautiful protected landscapes. Join Ranger Rick as he leads this cross-country adventure and provides his favorite facts, animals, and plants along the way. Page after page of beautiful photography and fascinating information bring the most unique features of the National Parks to life. 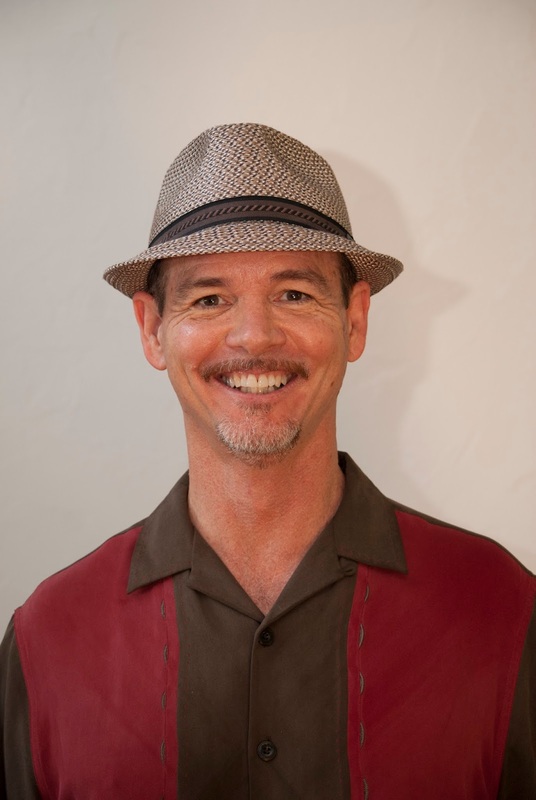 Inside you ll also find Ranger Rick s favorite things to do in each park, like sledding down the mighty sand dunes in Great Sand Dunes National Park or exploring the bat-filled caves of Carlsbad Caverns. With Ranger Rick as your trusted guide, there is no better way to experience the National Parks other than being there! Expertly researched, chock full of fun facts, and filled with gorgeous, full-color photography, Ranger Rick: National Parks! is sure to delight and inspire any young explorer!" Gorgeous photographs augmented with descriptions of each park and things to see and do make Ranger Rick's National Parks! 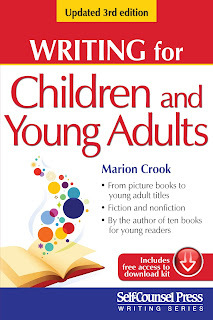 a great book for young readers. While the amazing photographs are the primary attraction here, the brief information given about every National Park in the United States gives a glimpse into the wide variety of landscapes and wildlife found there. Each section gives a one paragraph summary about the park while also including ideas for top activities, fun facts, and information about what makes it famous, when it was established and it's size (in acres). Reading the book made me want to hope on a plane and visit each and every park to see the amazing places and animals that make each park so valuable. I love books like this because they remind me that our world is still a pretty amazing place. The design of this book makes it perfect for browsing or reading all the way through. 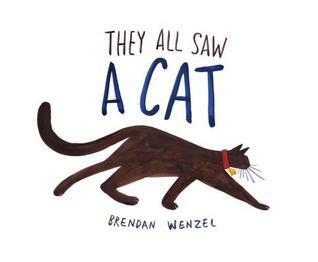 Brendan Wenzel has created a delightfully intriguing story about the way a cat is seen as it stalks through the world. The wide variety of images and styles makes for some real eye candy. 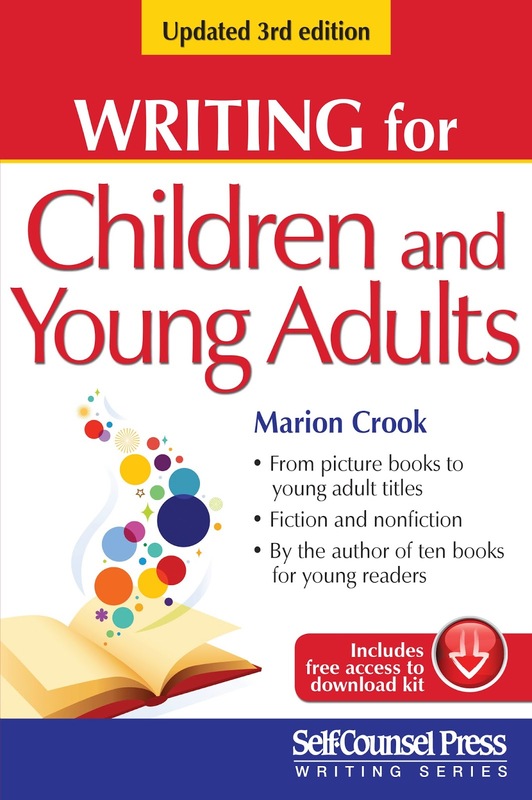 This book begs to be a starting point for a great discussion about point-of-view and how everyone and everything sees the world a bit differently based on both nature and nurture. A child, a dog, a fox, and a fish all see the cat in very different ways, even the cat itself doesn't see what the other animals see. A fun activity to do with children surrounding this book would be to have him/her/them draw a cat themselves just to see how their perceptions differ from those of the book and from other children. I just might do that with some of my students. 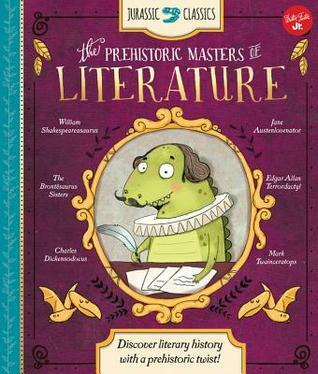 The brilliance of this book makes it a great contender for not only the Caldecott but many other awards. Cleonardo loves to invent like her father, Geonardo, but she loves to base her inventions on nature, whereas her father prefers machinery. 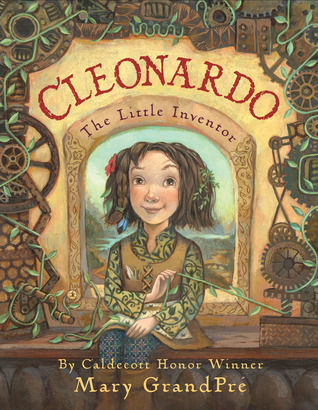 After her father gently rejects all of her ideas for the upcoming invention festival, Cleonardo decides to invent something by herself. Eventually Geonardo realizes just how much he misses having her around and decides to invent something that he thinks she will like, a mechanical bird. Later, at the festival, Cleonardo's invention helps when things start to go haywire. GrandPre's gorgeous illustrations nicely complement this sweet story about creativity and how different ways of seeing the world can complement each other. And even beyond that, how sometimes the things of greatest value are the smallest things rather than the largest. 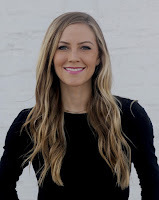 Jennifer Holm has written another really appealing historical fiction novel based on her family history. 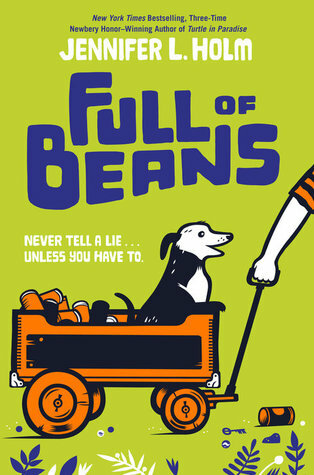 While I don't normally have much luck getting students to read historical fiction, I think I could get them to read this since Beans is such a likeable, interesting character. I also loved Key West as a setting and watching it change for the better. Beans willingness to work to earn money to go to the movies and help out his mom is a major plot point that leads to conflict when Beans starts working for a bootlegger who asks him to set off fire alarms to help him transport contraband. The pay is good but the consequences are not and Beans is left trying to make up for his mistakes. The friendships as well as the other people Beans interacts with make the story an interesting one. Beans' little brother Kermit, his grandmother Nana Philly (the meanest woman in Key West), and his feud with Dot (a girl!) all play a role in the choices Beans makes and who he ends up deciding to be. 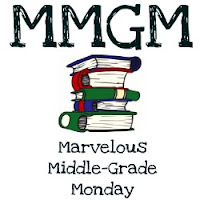 Holm has written another winner with great characters, a fabulous setting, and an interesting plot. Eden longs with all her heart to live on earth like mortals do, but she is a genie and must remain with her lamp. At least that's what she has always been told by her masters, Xavier and Goldie. But when she discovers a way out of the lamp, she's thrilled with the chance to experience earth for more than just a few moments. But she quickly discovers that all is not as it seems, and there is a secret organization who will do just about anything to get their hands on the power of the lamp. Crowl has written an entertaining and fun book about a young genie wishing for more than she has. Despite an often light-hearted tone, the themes here are thoughtful ones about freedom, power, and family and what each really means. And is perfect safety really worth the price of sacrificing experience and friendship? 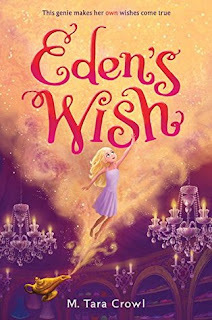 I thoroughly enjoyed reading Eden's Wish and look forward to learning more about Eden and her job as a genie. It was fun seeing the world through the eyes of someone who hasn't grown up with it and has a deeper appreciation of it. The different methods used by the various former genies as well as Xavier and Goldie to convince Eden to do things their way provided a sharp contrast in persuasive techniques. This time Eden landed on her feet. When she opened her eyes, she saw that they were planted on black pavement. Black pavement meant a street. She was standing on a street. Okay, she thought. But where? She lifted her eyes. Directly before her were four yellow taxis, side by side, like the front line of a battalion. To her left and right were buildings so tall, she was as small as a bug in comparison. And in the distance, a narrow slip of bright blue sky framed by more sky-high buildings, as far as she could see. She’d never been here before; of that, she was certain. And yet, she’d received a genie’s education. She’d seen enough photos to know without a doubt where she was. “New York City,” she said softly. RERRR!!! Car horns rang in her ears. The light had changed, and the battalion was ready to charge. As Eden sprinted to the sidewalk, taxis ripped through the space she left behind. Something heavy bounced on her back, and she felt straps around her shoulders. She was wearing a backpack. Suddenly, it started to vibrate against her back---but there was no time to figure out why right now. There was no less traffic on the sidewalk, but at least it was made up of mortals on foot rather than cars. The prospect of a collision wasn’t nearly as dire. Mortals. She took a deep breath. She had to stop calling them that. After all, she was living among them now.